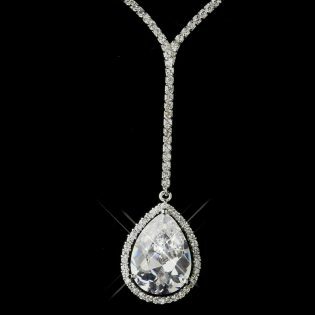 This glamorous and beautifully cut pendant necklace set is sure to become a treasured heirloom: CZ-cut teardrop, smaller CZ stones, and antique silver are crafted together to form a Y design that is intriguing and fabulous. 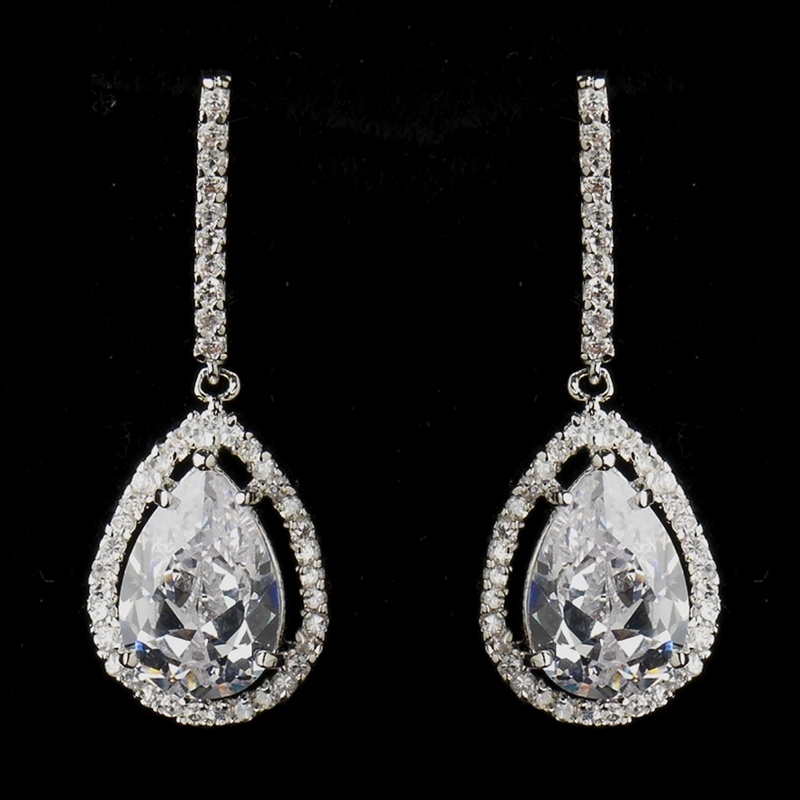 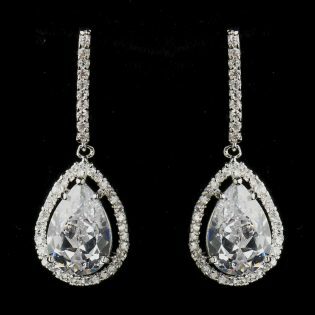 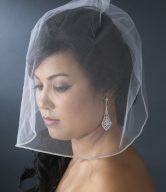 We love this paired with a white or ivory wedding dress or formal gown. 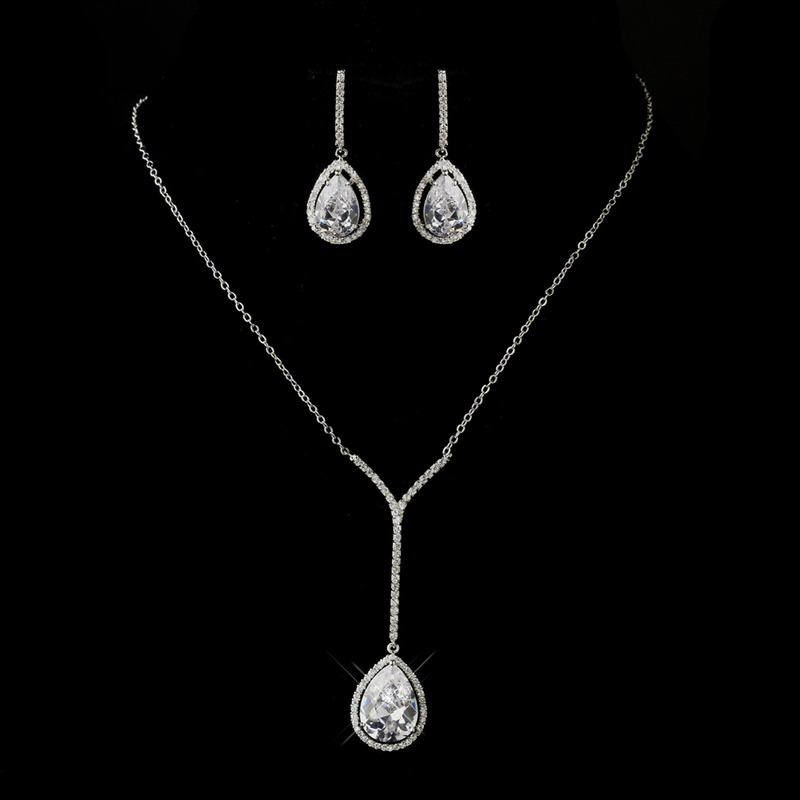 The Moderne Pendant Necklace Set is ablaze with glamour, luxury, and a bold design that goes with everything. 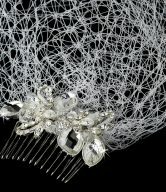 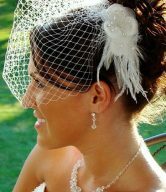 Pair it with the Silver Clear Round Rhinestone Floral Bridal Headbands for a truly glamorous look. 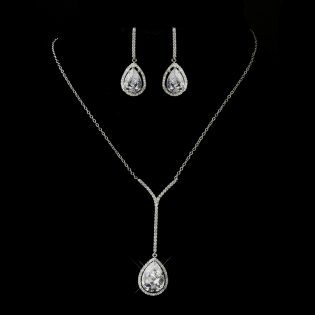 The necklace measures 18″ in length and 1/16″ wide with a 2-1/2″ long necklace drop, while the earrings measure 1-1/2″ in length.